Thank you for visiting the University of Florida Department of Anesthesiology website. Please allow me to provide a brief introduction. 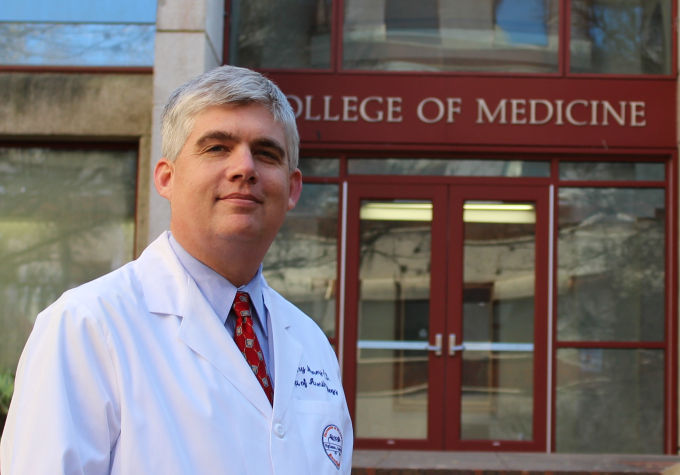 The Department of Anesthesiology is an independent department in the University of Florida College of Medicine entirely located in Gainesville. We serve the anesthesiology, pain, and critical care medicine needs of all patients admitted to UF Health Shands Hospital and all of its subsidiary facilities. Last year, we provided anesthesia for approximately 45,000 cases in a variety of subspecialty settings, including adult multispecialty, ambulatory, cardiovascular, liver transplant, neuroanesthesia, obstetric, and pediatric. We recently created a perioperative medicine division responsible for creating our perioperative surgical home model. Additional clinical divisions include critical care medicine (caring for patients in the surgical ICU, trauma ICU, neurological ICU, and cardiothoracic ICU), acute pain medicine, and chronic pain medicine. 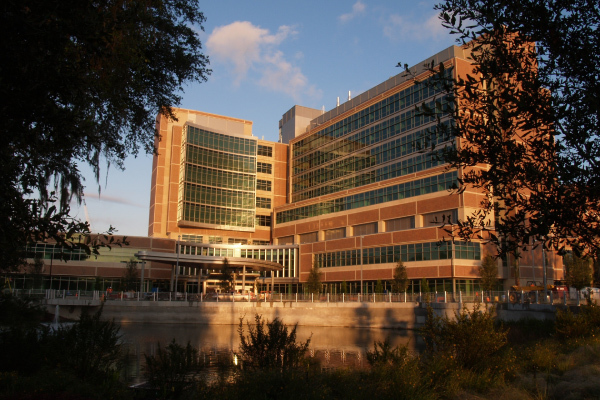 The Health Science Center is a fully mature and developed organization that includes UF Health Shands Cancer Hospital, UF Health Shands Children’s Hospital, a Level I Trauma Center that treats more than 2,000 patients a year, a Level III Neonatal Intensive Care Unit, one of Florida’s four regional burn centers, Florida Surgical Center, Children’s Surgical Center, and the affiliated Malcom Randall Veterans Affairs Medical Center. One essence of our Department that endures is education of the next generation of anesthesiologists who will be practicing to 2050 and beyond. We offer three and four-year residency positions and traditionally accept 22 residents per year into our program, with the majority of residents selecting the four-year program. These residents arrive from around the United States with excellent medical educations and leave as fully trained anesthesiologists. In addition, each year we welcome approximately 20 new fellows into our one and two-year training programs in critical care medicine, acute pain medicine, cardiovascular anesthesiology, combined critical care/cardiovascular anesthesiology, chronic pain medicine, and others. Many fellows graduate into academic practice at the University of Florida, University of Alabama, Vanderbilt University, Wake Forest University, Harvard University, University of Pennsylvania, Duke University, and Brigham and Women’s Hospital, to name a few. Scholarship and the discovery of new knowledge is a core component of our Department. Training in a research-intense university and health center, one cannot help but note the spirit of inquiry that permeates our culture. Within the Department, the faculty and their colleagues produce approximately 120 peer-reviewed publications per year in addition to countless book chapters, new curricula, and other scholarship. Likewise, grants arrive weekly from a number of organizations such as the National Institutes of Health, the Department of Defense, the National Science Foundation, the Foundation for Anesthesia Education and Research, the I. Herrmann Anesthesia Foundation, private industry, and others. Expanding science and finding new ways to improve care for our patients is central to our Department’s existence. Promoting a diversity of faculty and interests endures as a goal for our Department. We recruit residents, fellows, and faculty from all over the world to reach broader visions of our future. Recently, the faculty has grown to accommodate our rapid expansion with fresh infusions of ideas from the University of Washington, University of California San Diego, Johns Hopkins University, Duke University, Vanderbilt University, Oschner Clinic, Virginia Commonwealth University, University of Arkansas, Yale University, and others. Such new ideas contribute not only to improved education for our learners, but also to a fertile pool of research ideas. The information I have provided here is just a snippet of data from a short period of time. I hope this provides a glimpse into the Department of Anesthesiology and that you explore more on the accompanying web pages. Thank you for visiting.